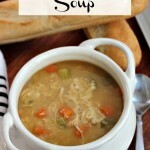 Calling all Panera soup lovers….this yummy recipe is for you! 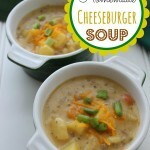 This is our amazing Copycat Panera Squash Soup recipe. Now you can enjoy this anytime you like and not have to leave the comfort of your own home. 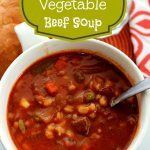 Today is a chilly, cloudy day outside so it is perfect weather for a warm bowl of soup. We like to garnish ours with pumpkin seeds, but that is totally optional. 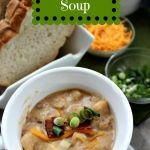 I love using butternut squash in the fall and winter, and this has quickly become one of my favorite recipes! Preheat oven to 450 degrees Fahrenheit and lay a baking sheet to the side. Peel and seed the butternut squash and then cut into chunks. Toss squash and onion in the olive oil and then salt and pepper to taste. Spread mixture onto baking sheet into a single layer and cook for 20 minutes. 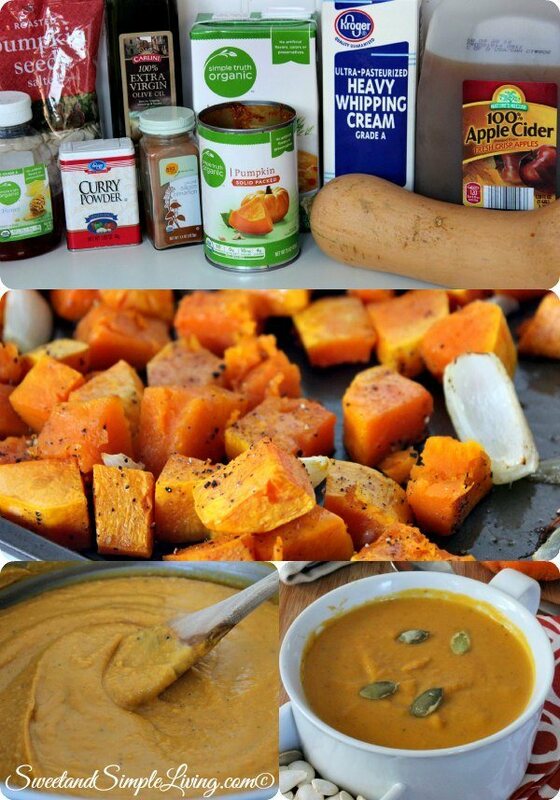 Once cooled off, puree squash and onion in a blender or food processor. 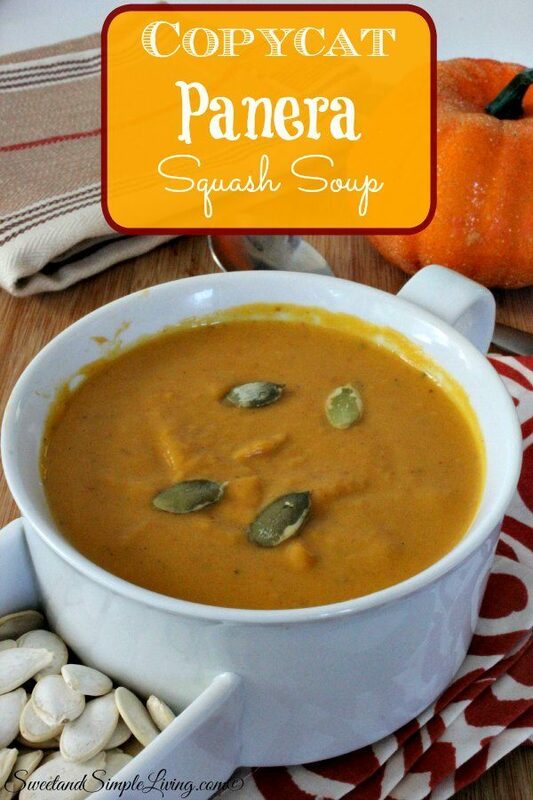 In a large sauce pan, combine squash puree, pumpkin puree, vegetable broth, apple cider and heavy cream. Bring to a low boil over medium heat. Add the honey and spices and simmer for 10 minutes. Garnish with pumpkin seeds and serve warm. 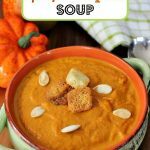 If you love the squash soup at Panera, then you’ve got to try this Copycat Panera Squash Soup recipe! It is just like the real thing and you can do it yourself. 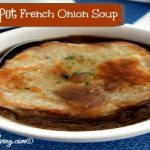 We have some other amazing soups that you may want to try as well. 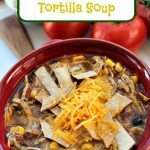 Maybe our Crockpot Chipotle Chicken Tortilla Soup or our Homemade Spicy Pumpkin Soup! 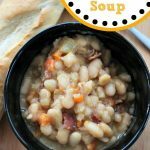 One of my favorite soup cookbooks is this Soup of the Day cookbook! It’s recipes for every day of the year!